This is a quick update from my family hunting property in Southern Illinois. The video illustrates start to finish the process of our 2015 habitat plan execution of kill plot #2. 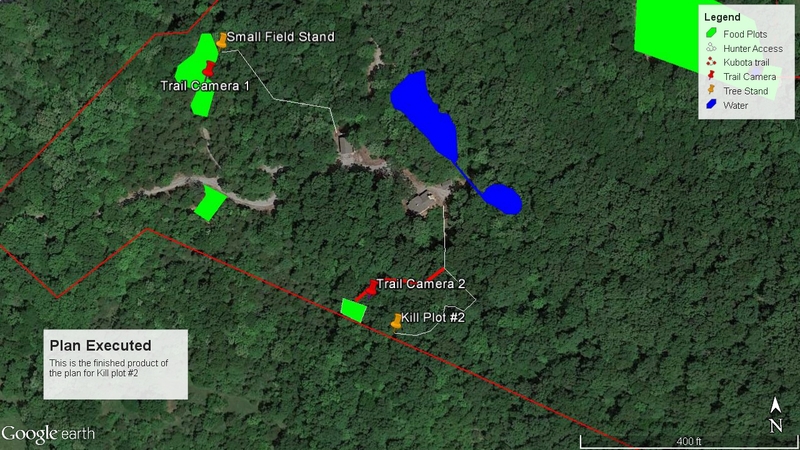 The Google earth map above also shows the locations of my two trail cameras. Cam 1 is in the same location it has been since mid July, and cam 2 is now covering our new kill plot. Though the video does not show the final product of my work, I will be updating everyone on the progress of the plot as the year progresses. 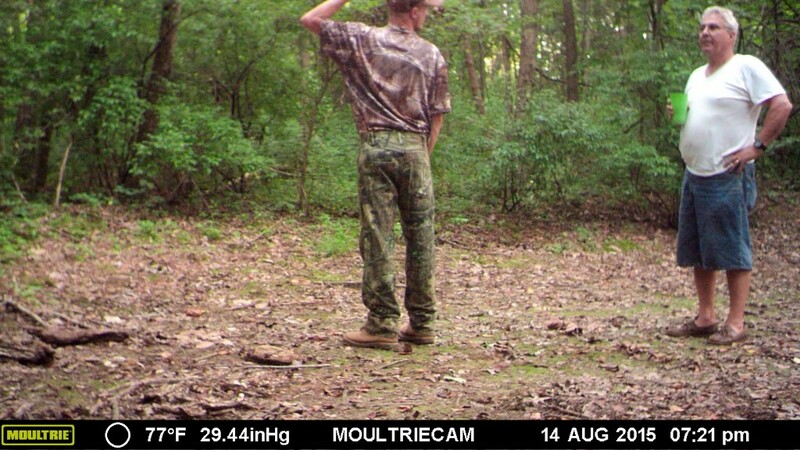 Check back in October to see how the plot turned out (view will be from the treestand). For those of you that are not yet aware of what that plan is, check out my 2015 habitat plan. You’ll see in the video that I do end up having to put off my plan for kill plot #1 because I ran out of time. However, since I wasn’t going to be able to complete kill plot #1 I was able to focus my time on the small things that will make a huge impact on my overall success this fall. For further information on those details, check out my Tree Stand Access article as I use the newly formed kill plot #2 stand as an example. The help arrived around 5 and the only thing we were able to get accomplished that evening was a property walk through and update. I was able to show my father my completed work and we talked about the possibilities for future plot locations. Nothing has been decided, but this was an area that he had thought of for another plot. Making a plot here would make a small strip of woods between it and the middle field plot and leave another very small strip between each of them and the main big field on our neighbors property. This would give us a way of creating great doe family group bedding in areas that we cannot access to hunt and keeping the deer away from areas that we need to use for accessing stand locations.